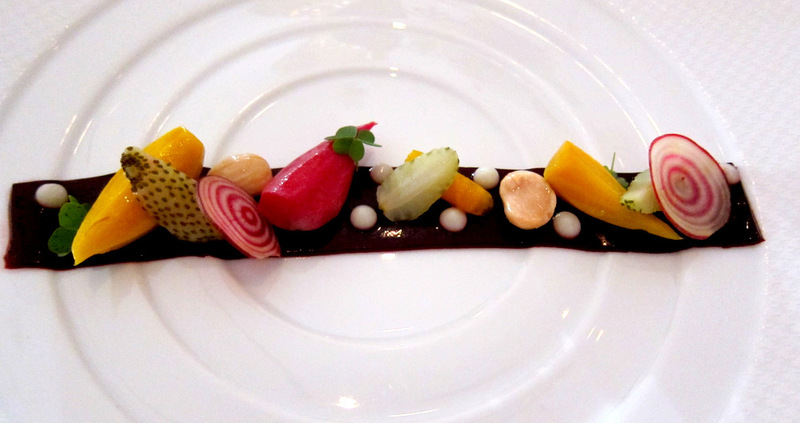 There really is no shortage of reports on the web about The French Laundry and it’s food. I’m sure many are very thorough and detailed, especially on sites like eGullet.org. My post here will be more on the short side word-wise. 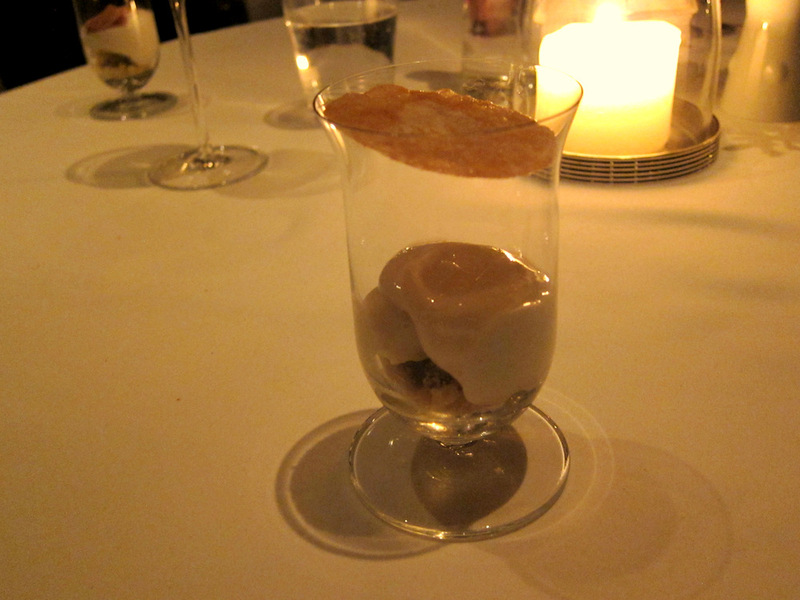 Last time I enjoyed a meal that I had been looking forward to for a very long time at a three-star restaurant that was elBulli and I had chosen not to take any pictures. I have since regretted not having a set of pictures to share here and keep as a souvenir. So this time around I asked our very professional and nice waitstaff if it’s ok to snap flash-free pictures and documented our memorable 4-hour meal as best as I could. 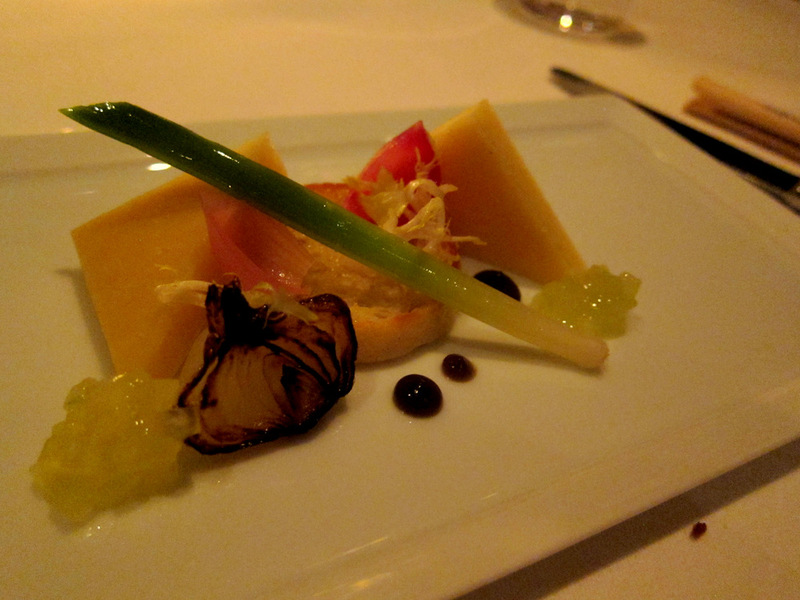 It’s been probably more than 10 years since I first heard about Keller’s French Laundry on Anthony Bourdain’s episode-dinner on his first show, “A Cook’s Tour”. 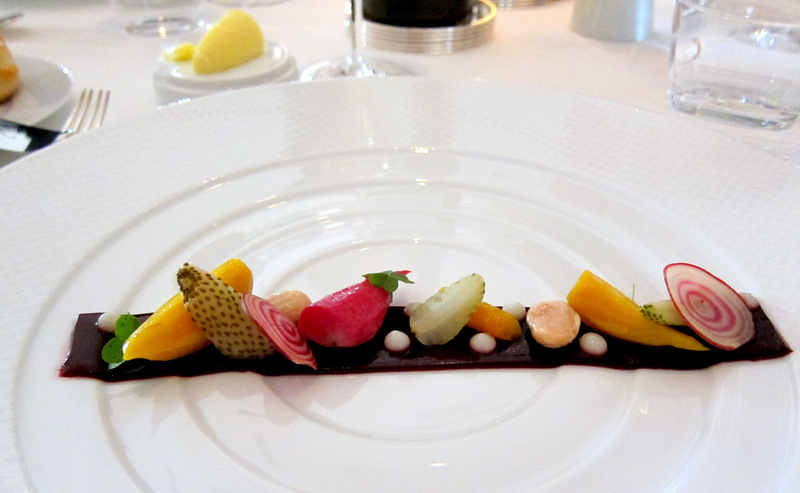 If you do a search on my blog for “Keller” or “The French Laundry” or “Bouchon” you’ll have a pretty good idea that I am a huge admirer of the Chef and his work. We were set to go to a wedding in Napa in March 2013 and I knew that I will try to snag a reservation at this restaurant. It took over a hundred calls back to back…until OpenTable.com came through for me (heh, who knew…) and I got a reservation for 4 on Sunday, March 16th. It was everything we expected to be. I had very high expectations and suffice it to say that I was not disappointed in the slightest. The service was impeccable. It was efficient, friendly and not at all stuffy. It was a lovely meal and a great time with Diana and two great friends of ours. After being seated we chose our menu options and supplement courses. We also chose a bottle of an excellent Riesling to go with the meal. I love that the very courteous sommelier did not bat an eye when I requested a “white bottle under $100”. He simply picked two and explained in detail why one of them (the less expensive one) is the right choice. 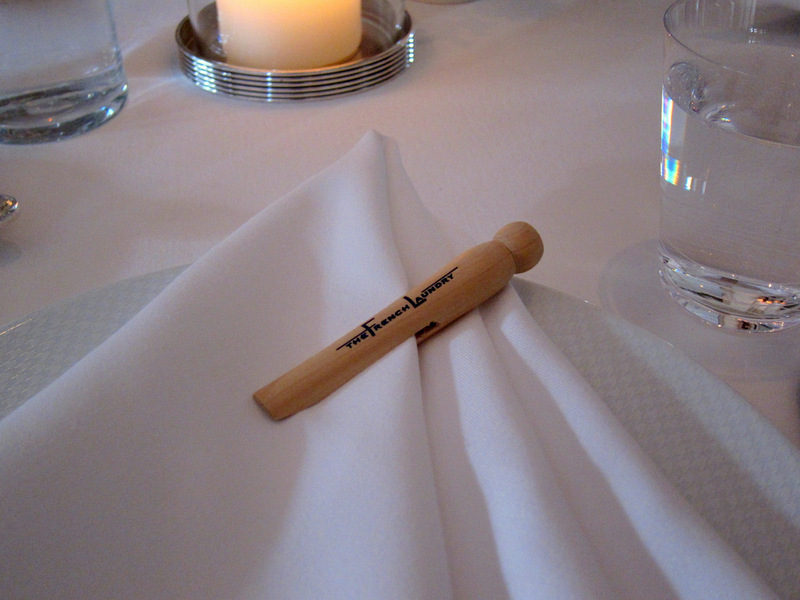 We were then served the Laundry’s classic canapes – Gougere and the Salmon Tartar Cornets. My wife and I opted for a couple of glasses of Champagne to start with as well. Then the meal started. 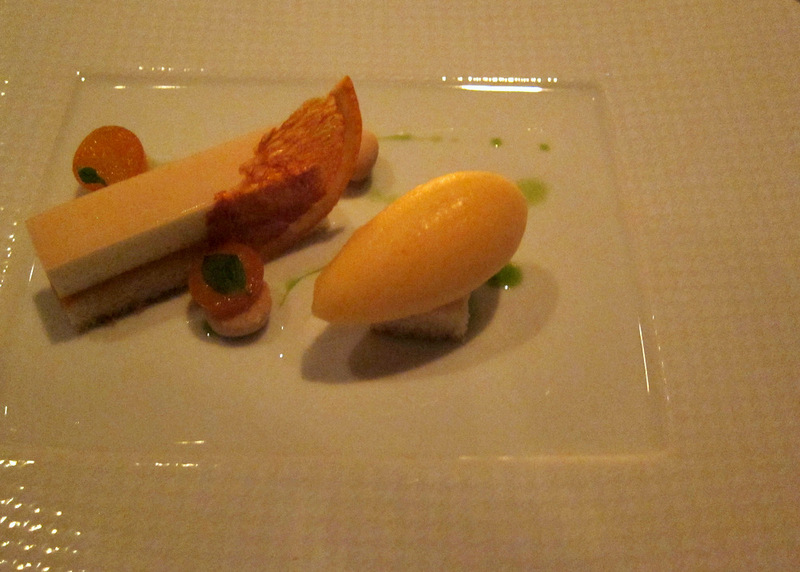 This is a French Laundry classic. 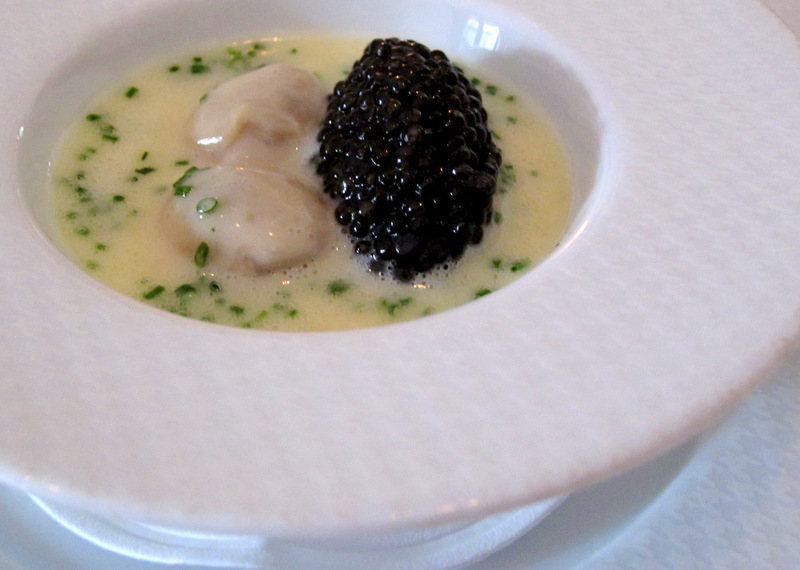 It’s creamy, briny and delicious. 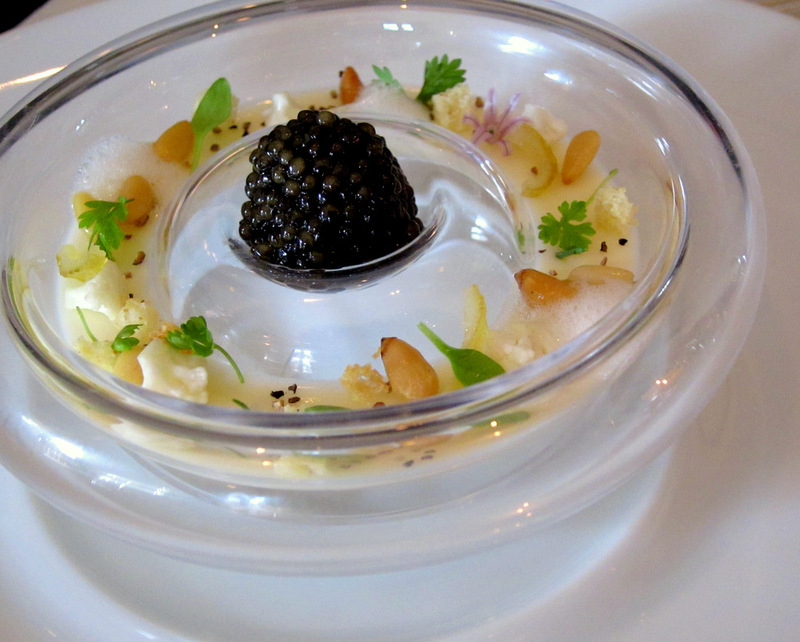 This was a supplement dish and worth every penny for the loads of truffles the server shaved on top of this creamy heavenly concoction. After showing us a box full of fist size fragrant truffles, she proceeded to cover the risotto with shavings. 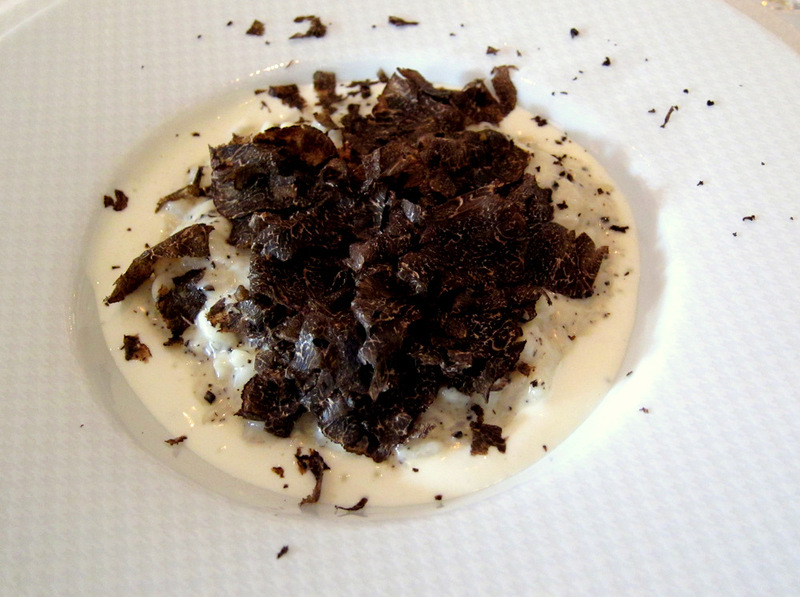 After eating half the dish, she actually came back and covered the dish again with more shavings of truffle. Her comment “Chef would like every guest who pays for truffles to REALLY taste the truffles”. Thanks! Tasty and perfectly cooked fish. I would’ve preferred if the skin was crisped though. 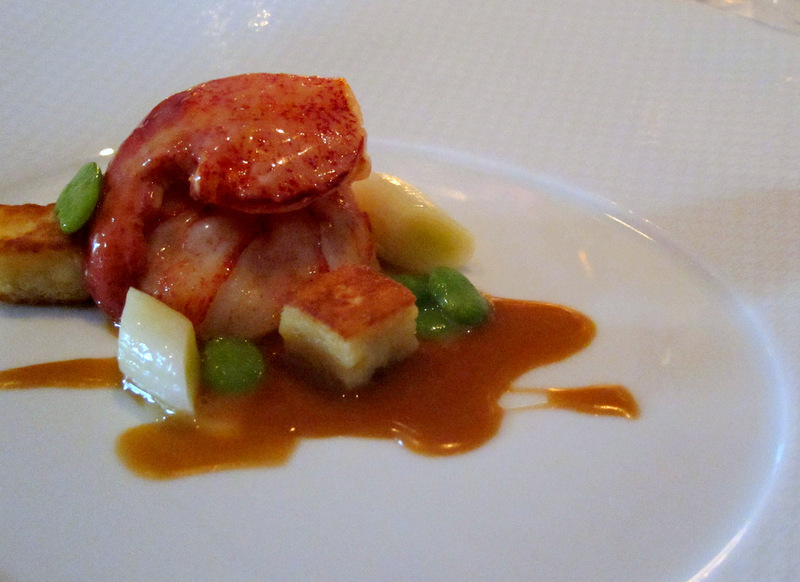 Butter and lobster, rich sauce, fresh favas and crispy French toast. Perfect. It’s not a simple a chicken as it looks. The breast meat is perfectly cooked and juicy. 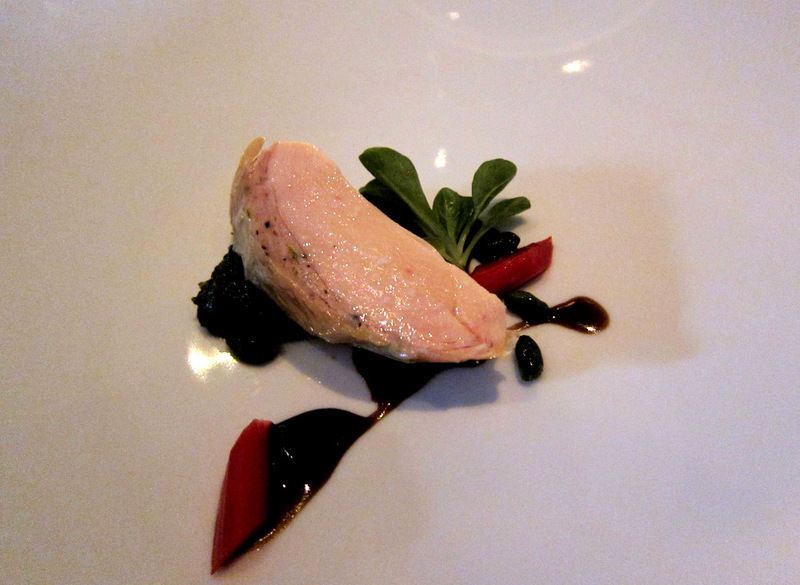 It is also stuffed under the skin with a layer of chicken mousse and black truffles. This was a surprise of a sort. 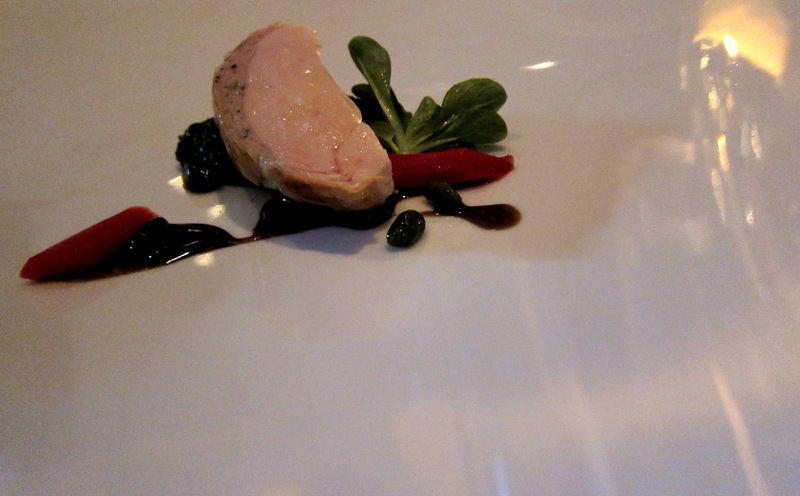 I was not sure what to expect, but it ended up being one of the highlights of the meal. 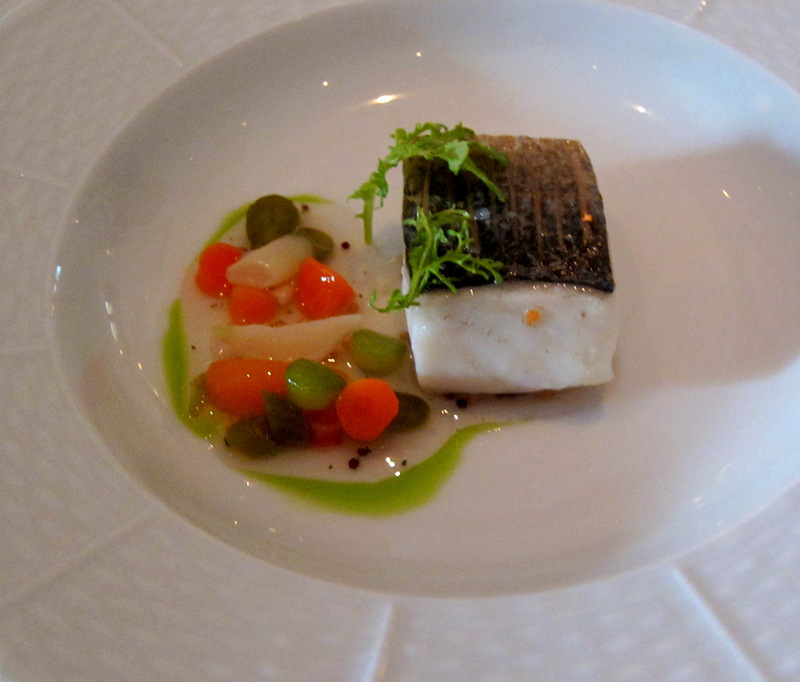 Not pictured here is a small porcelain pot that was filled with very rich and airy potato puree. This was the ultimate meat and potato dish. This was the composed cheese course. Lovely with a mix of textures and temperatures to go along with the Cantal cheese. 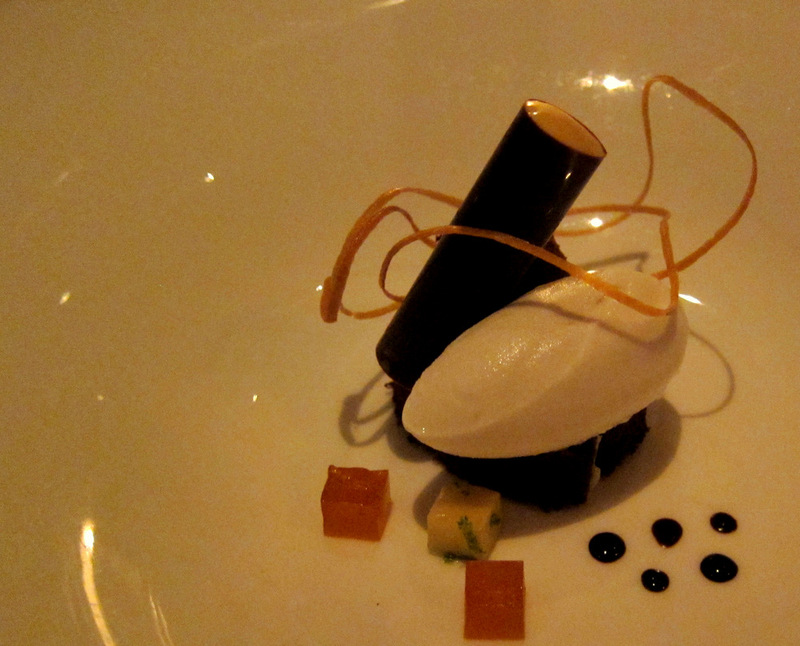 I have to say that the desserts were the least impressive of the meal. 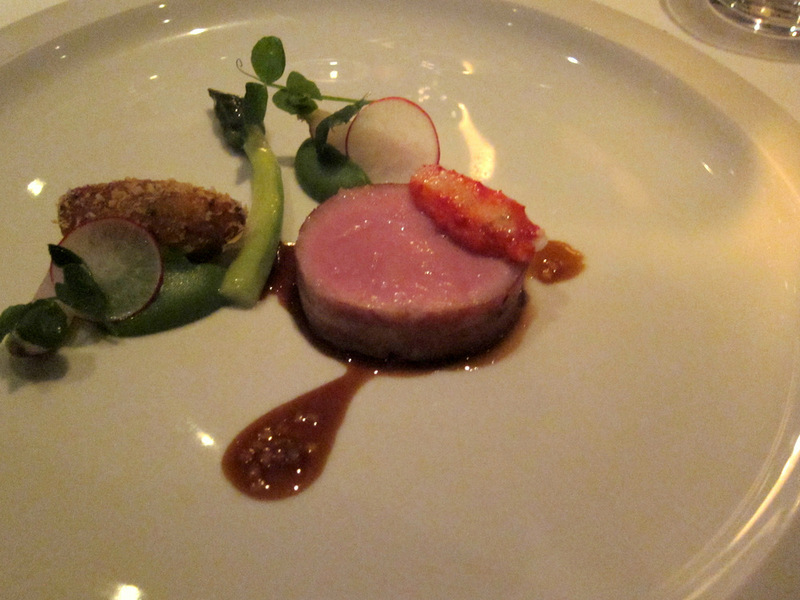 Nothing bad or wrong, just not as “up there” as the savory courses that preceded them. After all that food and almost four hours we got some warm donuts and coffee.. . 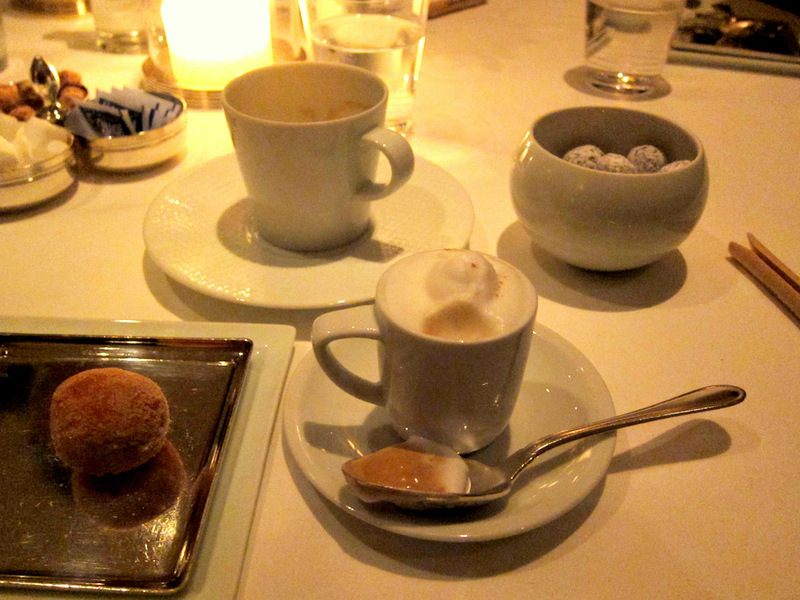 This extra course is the same one I posted about recently, Coffee and Donuts. It’s cool to taste it there and, except for the much better foam on the semifreddo, my dish was pretty damn close to the real thing. This was also delivered to the table with a bunch of Mignardises – a selection of chocolate truffles and chocolate covered macadamia nuts. We left with a small box each of buttery shortbread cookies and the memory of a lovely evening of good food and excellent company at a unique and beautiful place.